The 2014 Hyundai Sonata maintains its solid position among other top midsized, moderately priced family sedans. Given that the current generation Sonata in fact set the bar for its car class when it was introduced in 2011, it might be better to say that the other car brands are finally meeting the standards Hyundai has set. As in previous years, the 2014 Sonata delivers value, performance, and style. The Sonata comes in several trims: GLS, SE, SE 2.0T, Limited, and Limited 2.0T. In addition to these, Hyundai offers a hybrid model. New features include a restyled front grill and adjustable steering modes. Some trims are updated with Xenon headlights and LED taillights. With new noise-reducing technology, car buyers will appreciate the 2014’s quiet drive. 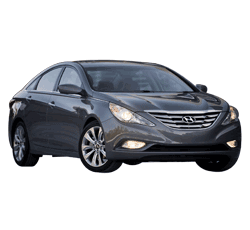 Compared to other vehicles in the class, the price for the 2014 Hyundai Sonata starts below most of its competition. Over the years, this Korean manufacturer has positioned itself as a price cautious alternative to its more expensive Japanese competitors. While this position succeeds in gaining market share, potential buyers would be mistaken to assume that lower price equates to lower quality. Hyundai provides value. When other manufacturers tack on options, driving up cost, Hyundai standardizes alloy wheels, heated side mirrors, and Blue Link technology even in its base trim. Through Blue Link, car buyers will not only get luxuries like Bluetooth and iPod connectivity, but they will also enjoy Hyundai Assurance Connected Care. This includes powerful features like emergency notification upon collision as well as maintenance advisories. The Sonata beats the competition with its standard 190 horsepower 2.4L engine. Hyundai shoppers looking for even more power will be delighted with the 2.0T turbocharged engine available in the SE and Limited trims, getting an incredible 245 horsepower. This turbo engine, in fact, provides even greater horsepower than even the V-6 Camry or Altima can offer. The EPA estimates that the 2014 Sonata gets 24 mpg city and 35 highway. True, other cars in this class do as well or slightly better, but the improved fuel efficiency across the board is a testament to the strides the automobile industry has made in recent years. The 2014 Sonata is a respectable competitor, and the differences in fuel economy among the top cars are negligible. For those looking to keep their new car for several years, Hyundai offers more peace of mind than any manufacturer. With the five year, 60,000 mile new vehicle warranty, the 10 year, 100,000 miles powertrain warranty, and the seven year warranty against rust and corrosion, Hyundai buyers are virtually guaranteed limited repair expenses for years to come. The National Highway Traffic Safety Administration gives the Sonata an overall five star safety rating. The vehicle comes standard with six airbags. When any airbag is deployed, Hyundai’s Automatic Collision Notification Assistance immediately locates the accident, enabling emergency services to operate quickly. The Brake Assist System may be a lifesaver in situations in which the driver is unable to apply adequate braking pressure. Buyers interested in the Limited trim may opt for the blind spot detection (BSD) side mirrors. A rearview camera is an optional safety feature in the GLS and standard in the other trims. Car buyers interested in the SE or the Limited trims will appreciate options like touch screen audio, HD radio, and navigation. 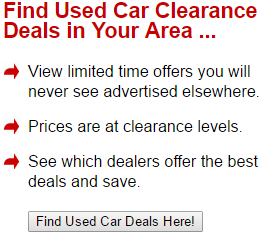 The driver ventilated seats and the front and rear heated seats are additional selling points. With 120.2 cubic feet of interior space, the EPA classifies the Sonata as a “large car,” actually bumping it into a different class than the Fusion, Malibu, Camry, Accord, and Altima. Drivers will find the Sonata’s trunk space equal if not better than its competitors. For 2014, Hyundai made subtle yet significant strides to enhance the driving experience. The interior cabin changes reduce road noise so that even highway cruising at 70 mph is quiet. The new Driver Selectable Steering Mode allows for drivers to choose from among three options (comfort, sport, or normal), improving the overall drive quality. A repeated critique among Sonata test-drivers is the car’s mediocre handling. Although the 2014 Sonata has improved in this regard, car shoppers are likely to have a better experience with the Fusion or the Mazda6. The bold, futuristic, and fluid styling of the 2014 Hyundai Sonata might be a little much for more conservative tastes. While some no doubt appreciate this current generation’s exterior design, others may not be able to overlook it even given the Sonata’s benefits. While the Sonata received an overall five star safety rating from the National Highway Traffic Safety Administration and has done very well in almost every safety test, the newly introduced International Highway Safety’s small overlap front test has proved difficult for many vehicles. The 2014 Sonata received only a “marginal” rating in this specific test, while other midsize family sedans faired better with “acceptable” or even “good” ratings. Hyundai’s team is once again re-inventing the Sonata for 2015. If buyers are hesitant about the 2014 Sonata and have a bit of patience, they may find the 2015 model to be worth the wait. With what Hyundai accomplished in the 2011-2014 generation, it is fair to expect good things from this Korean manufacturer. Early rumors report dramatically improved handling. Over the last decade, Hyundai has continued to emerge as a dependable, affordable, and cutting edge alternative among Asian manufacturers. The 2014 Hyundai Sonata is unlikely to disappoint car buyers looking for a quality midsized family sedan. Anyone shopping for a vehicle in this class needs to at least consider the make with the best warranty and most repeat buyers.